Not long after starting this blog and becoming engrossed with social media and all things analytics, I posted an article “Who are you…at this moment?”. I looked at four social media profiling tools that gave you a rating or personality based on the information that you have posted, tweeted, shared, etc. As the end of the year is nearing, I wanted to go back and run these test again and compare the results from August to see how much my online profile/personality has changed since then. The social portion of my “persona” seems to be unchanged however the other aspects are very different. 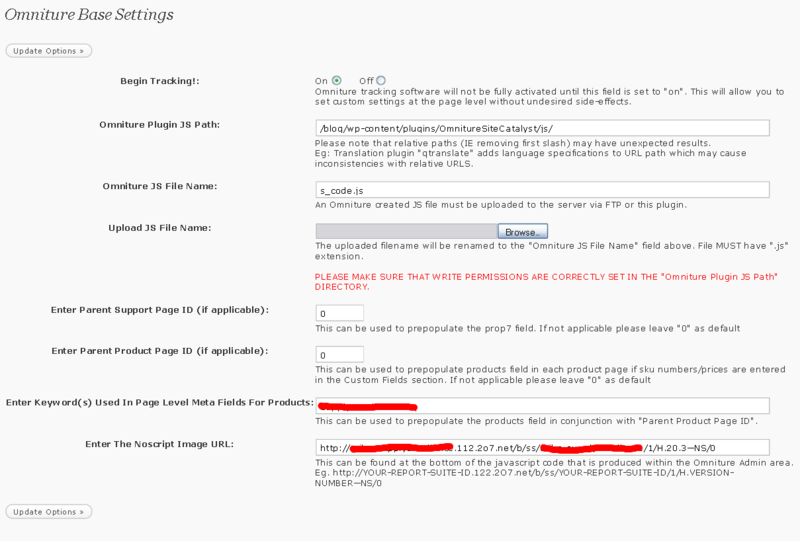 Apparently I now have a section for “aggression” I wonder if this is related to the fact that I have stated many times on twitter how much I hate IE6? Twanalysis shows that I am still a “Parrot” ( I do ReTweet stuff a lot) however I have moved from socially cautious to popular inquisitive fair with a new style as well. Again, there has been a noticeable change in the ratings. 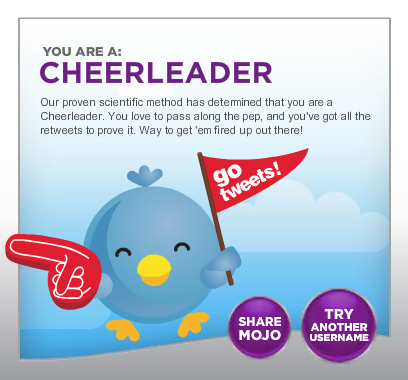 There is no change in my Mojo… looks like I need to get some pom pom’s. 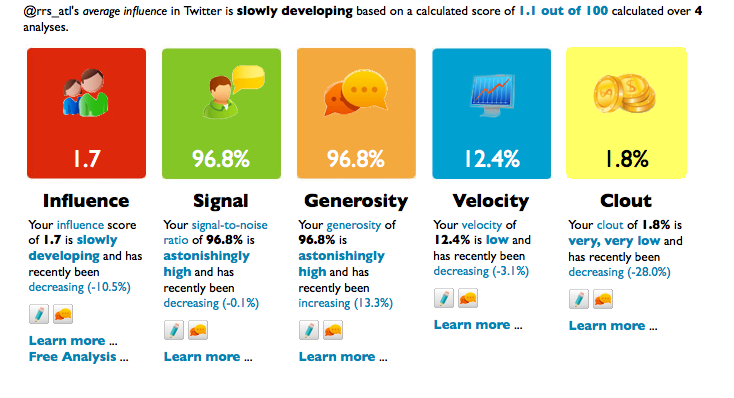 Twitalyzer shows changes almost across the board. It seems that the tweets and information I’ve been sharing are not all rubish. Woot! 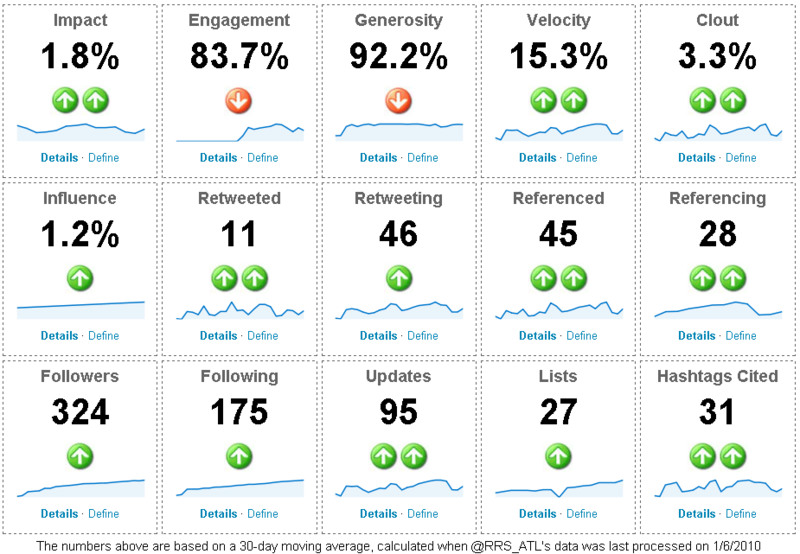 NOTE: Twitalyzer has release a fantastic 2.0 version of their tool. 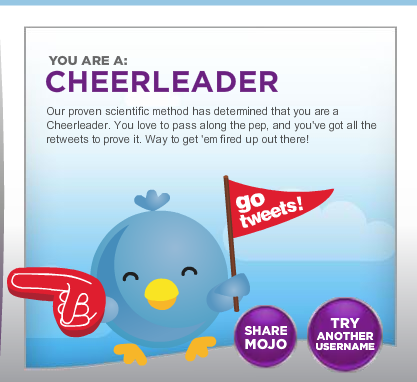 Here is my 2.0 data from Twitalyzer! It is truly fascinating the impact that being engaged in social media and social networking can have on your online profile or personal brand. There have been many excellent articles recently on the impact of twitter and social media for individuals and corporations. The examples above clearly show that with a little effort and engagement, anyone can shape their brand or online personality. 2010 will bring even more companies and individuals into the social media and they will all have to take the steps needed to shape and create their social media presence, to embrace the power of the 140, and to really interact with not only their friends and customers but the haters and the complainers as well. It is easy to stand in front of a crowd of your biggest fans and interact, the biggest challenge that companies and people will continue to face is how do you stand in front of a crowd of angry, frustrated, and yes even misinformed people and convert them into your biggest fans. If there are companies out there wondering how to do that. Follow @OmnitureCare on twitter and watch him in action. Best example I have seen in mastering how to interact with fans, customers, and haters alike. I believe that these goals/resolutions will have a major impact on my online persona (and those that know me personally can tell you that what you see online is what you get in real life as well) and help me become more effective in my web application development and with web analytics. What steps are you taking to shape your persona? Rudi, you’re doing great stuff here! Keep on keepin’ on. Happy holidays! Thanks for the comment Jeff! And thanks for the RT as well! Thanks for the comments. I like the MIT visuals as well, but you are right, it does not give an accurate picture. Previous post OMG! Borders wants to be l33t!